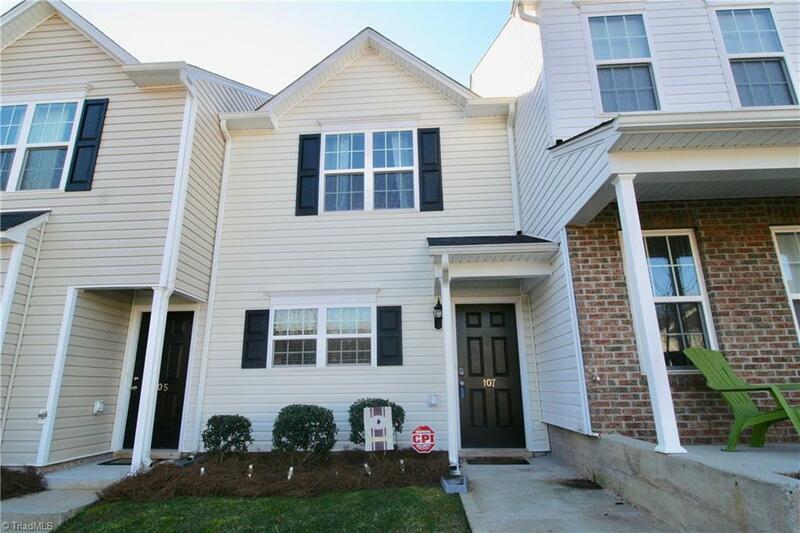 Check out this GREAT 2 story townhouse that is located close to everything! Open layout downstairs. Large kitchen with plenty of storage. BRAND NEW laminate flooring downstairs. Great size master suite with master bath attached. Second bedroom and full bath also upstairs. Laundry conveniently located near bedrooms. Fenced in patio area. Don't miss this opportunity! Sold by Keller Williams Of Greensboro.